Robot Drives Itself to Deliver Packages - Integration Through Media ....! 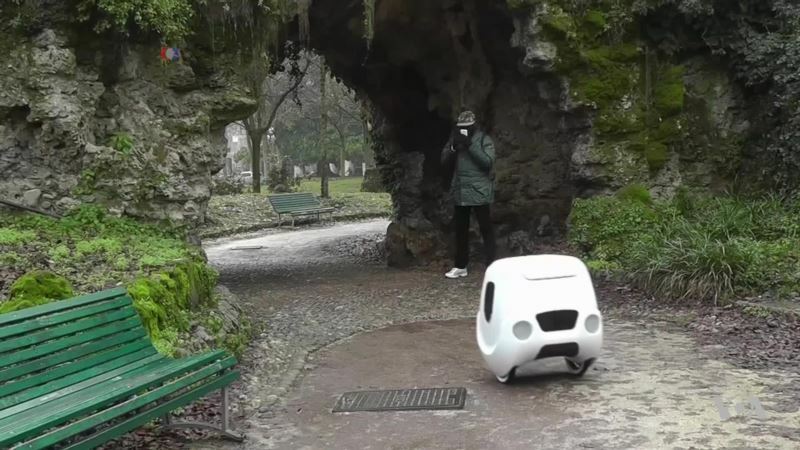 (VOA): Delivery robots could one day be part of the landscape of cities around the world. Among the latest to be developed is an Italian-made model that drives itself around town to drop off packages. Since the machine runs on electricity, its developers say it is an environmentally friendly alternative to fuel powered delivery vehicles that cause pollution. VOA's Deborah Block has more.